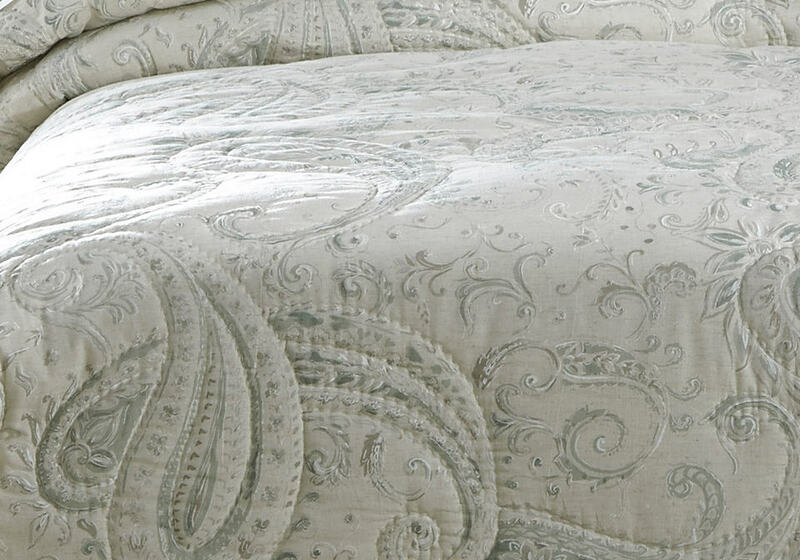 This coverlet set is blend of sage and creame articulated by paisley designs in a traditional form. 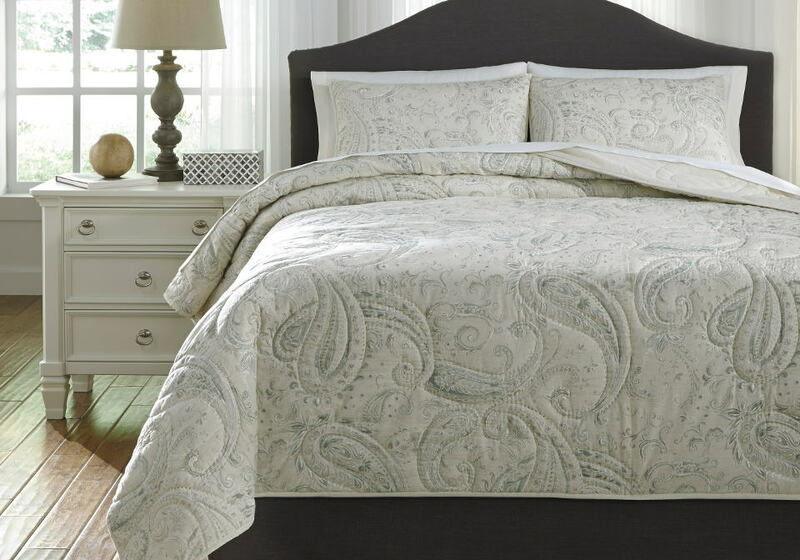 3-Piece Coverlet Set – Includes Coverlet and 2 Shams. Paisley Design in Creamy Neutrals and Shades of Sage. 220 TC. Cotton/Linen Blend. Machine Washable Cold.